Some of it was because I love creating companies, having nothing and seeing if we can make it something that other people want. When I was in kindergarten, I bought big bags of candy and sold the individual pieces door-to-door. Later, I taught myself how to build websites and launched an online business. When I was a CSUF student, I launched my previous company, a men’s lifestyle blog. My team and I wrote content on things men care about, working with brands like Gillette. So Nui Foods wasn’t my first rodeo, but it was the first to take off on its own. It started as a fun project with my buddy. We had no baking experience, and we were at his mom’s house to see what we could make of this. And then it was, like, cool, I like it, you like it, your mom likes it, will everybody else like it? We were still cooking in his mom’s kitchen, and I started a simple website with a picture of a chocolate chip cookie and a PayPal button. If we sold 15, we felt that we had a business. We tested it, and sold one, and then three, and then five, and 15, and then 30, and realized this was worth pursuing. Our next step was going to a commercial kitchen. Those are great, because there is a very low barrier to entry. We found the 4th Street Market in Santa Ana. We quickly learned, after almost burning down the kitchen on our first day, that a home oven doesn’t translate directly to a commercial kitchen, so we had to adjust our temperatures. But it was a great in-between step because they had bigger machinery, and we only had to pay for the time that we used it. 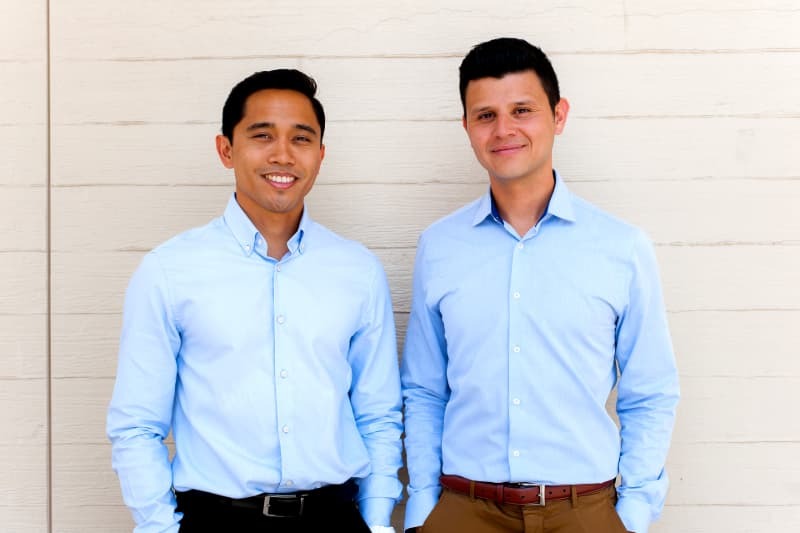 Even before “Shark Tank,” you and Kristoffer had raised more than $100,000 through crowdfunding. And you had more than $1 million in sales. How did this success come about? When we realized our concept was something that could really grow, we started a Kickstarter campaign. We ran two campaigns and raised $100,000 in total – and that was all before “Shark Tank.” With Kickstarter, it is all about getting people to connect to your story. We were very transparent – we were two guys, with no baking experience, but we went on the keto diet and it changed our lives, but we couldn’t find something that fit that sweet craving. So we created this as a tool to help you cut out sugar and transition to the keto diet. And it resonated with folks. With any Kickstarter campaign, it is 80% people you know before. When we were keto cooking in my buddy’s mom’s kitchen, we were sending products to people on Instagram and soon built up a significant following. So when we launched, support was from a lot of people we had never met, but they were spreading it among their friends. People were posting screenshots of the receipts, proving that they had contributed to the campaign and encouraging others to do so. In the first campaign, we raised about $21,000. In the second, we raised about $79,000. 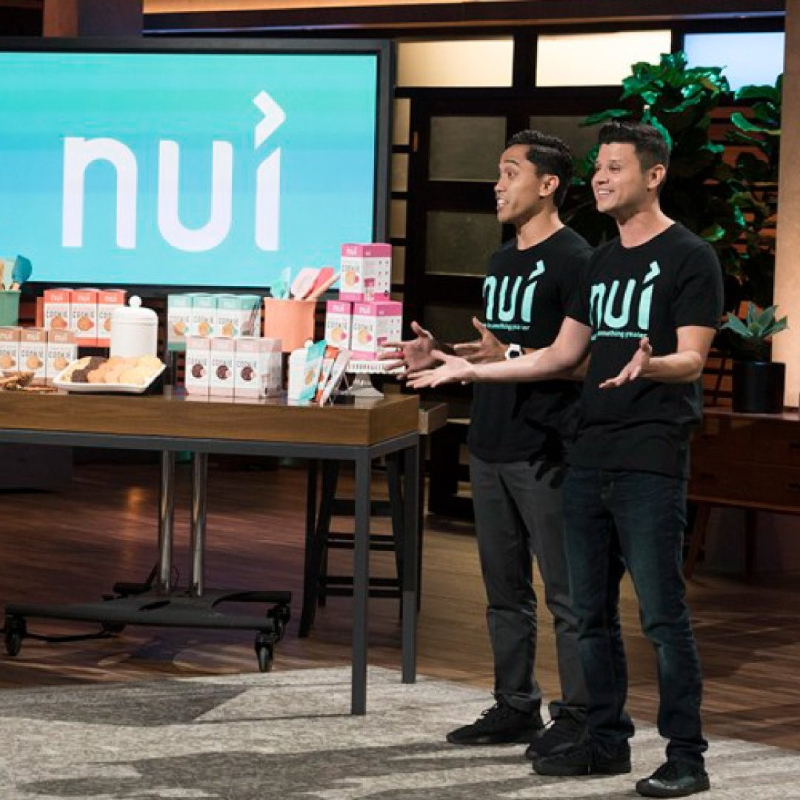 The co-founders of Nui Foods, Kristoffer Quiaoit (left) and Victor Macias ’09 (right), a Mihaylo College entrepreneurship grad, were featured on “Shark Tank” in 2018 for their healthy cookie concept. How did you get on “Shark Tank”? What was it like being on the show? The show itself was in L.A. We knew we would be nervous, but we prepared. We did squats, pushups and kettle bells to raise our heartbeats. And then we would practice. But after the first question was asked, we were in such a zone and prepared so much that we felt a lot of energy and were firing off answers. A-Rod [Alex Rodriguez] was much bigger than we thought, and he had a strong presence. What connected us was the immigrant story. He resonated with our story, and we resonated with his story. More than just money, it was about that. We shared that our parents had to work multiple jobs, we had to figure it out and were hungry and driven and sacrificed to make it work. Added to that, we had traction, we had more than $1 million in sales in the past year by the time we were on the show. Combining the story with results was enough to get people to pay attention. What have been some of the challenges you have faced in growing Nui Foods and how have you overcome these? One of the challenges is the lack of experience that we have. We’ve been to conferences and met other brands that have grown, and they have been very generous with their advice. Another challenge is the ability to push our comfort zone every day, because we’ve had to hire people and let go of people and learn more about online marketing than we’ve ever done in the past. It’s been pushing our comfort zone, connecting with people who are smarter than us, and continually learning. On the drive to work, there is an audiobook, during lunch and before going to bed, there is a book that we’re reading. My partner and I are always exchanging books and tips. It is continuous learning. How can a food-based business get started today, especially online? One is the product itself, and the second is the marketing. First, you need to develop something that tastes good, and that is easier said than done in the health foods space. If you have the money, you can go to a food scientist, and they can have you formulate certain things. I would recommend starting at home and then going to a commercial kitchen. Don’t wait until the product is perfect. Our packaging has changed many times. 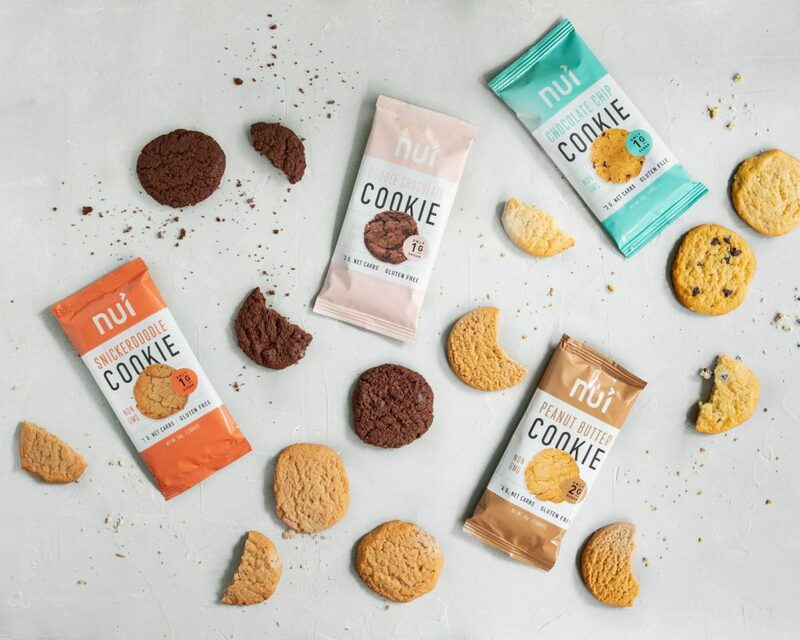 Even our name has changed – we were Keto Cookie, now we are Nui Foods. The name is Maori for “abundant and greatness.” So going back to the lifelong learning growth mindset, always try to improve in business. Nui embodies that. Second, make sure it is a product that the market really wants. We figured that out by being the customer, which made it easy to market to ourselves, and then we found other people who were like us. Want to learn more about entrepreneurship? Victor recommends two podcasts. Perspectives on entrepreneurship from the co-founder of LinkedIn. You are planning to get into retail spaces. What is your strategy? This year is going to be our big push into retail. We want to start small first. There is a lot more space in cookies. Entrepreneurs often make the mistake of diversifying too soon. There is a lot that we can do in the cookie space before we diversify into other product lines. Product shelf life is big. If it is a natural food product, it really needs a year or more to have a shot at large retail. You need to have a sales team and, potentially, distributors. You need to have your retail channel strategy mapped out. And that’s where we have advisors on our team who have done it and will help us to plan it. In the beginning, we will focus on specialty coffee shops. Personally, we’re fans of coffee shops. Even though we have an office, we work out of coffee shops every day. There is such an association between coffee and cookies and we want to be that bridge. And then there are smaller health food stores. Succeeding there would come first before expanding to a larger space. What is a “day in the life” in running Nui Foods? After “Shark Tank,” it has been like a fire hydrant coming at you, and you can only drink from a hose. The priority becomes prioritizing. There is no way that we can do everything on our to-do list, nor should we. So every day, I have a morning routine that I follow, and then I will choose the most important thing for that day and will knock it out before I even get in to the office. After that, on certain days of the week, we will have team meetings, but we are always focused on the bigger strategy, how we are moving forward on that and how we are empowering our team for that. How can others succeed in entrepreneurships, in the food industry or any other field? Essential is the act of starting. When I was in business school, I would often procrastinate on ideas, because I didn’t have the business plan complete or certain resources, but it was really a fear that I was going to fail. A lot of times people are afraid of failure. The best way is to launch and fail fast and innovate fast. Take the lean startup model: What is the smallest thing you can do to see if there is something worth pursuing? For us it was bake some cookies and try to sell them. We found out in a week or two that we had a business, as opposed to spending three months trying to develop a perfect business plan, only to discover that no one wants what we’re trying to sell. Business plans are great, but don’t use them as a crutch. Also essential has been my ability and desire to connect with influencers and professors I met at Cal State Fullerton. A lot of those connections helped me progress quickly. I was introduced to many people who helped. John Jackson [Mihaylo College management lecturer and director of the Center for Entrepreneurship] was top of the list – JJ was a game changer. Another was Alicia Maciel [a former Mihaylo College lecturer], who taught a leadership course and is also an entrepreneur. The most important trait for an entrepreneur is grits. The ability to keep going. I’ve wanted to be an entrepreneur since I was a little kid. I’ve been at this for a long time. There are many times that I’ve thought I should quit and get a day job. But there was something in me that wouldn’t let it happen. If you try 20 business concepts, eventually one is going to work and you will learn a ton from all of them. Perseverance and a desire to grow is what makes an entrepreneur successful. Entrepreneurship is the path least traveled but it is the path most worth it. There is a lot of fear and sacrifice, but what you get and the freedom you have is worth it. All you really need is one or two home runs and you’re solid. Who is on your team and what opportunities are there for others to join? We are a team of seven, including Kris and me. This year, especially as we continue to scale, we can see growing by at least four or five people. We’re looking for someone to run operations, which could be a COO or someone to get our ingredient costs down, as well as sales manager, and we have some specific areas in marketing, such as social media or an ambassador program. We’re always looking for people who are hungry and entrepreneurial who can figure out the answer. Not necessarily someone who has to be managed. Yes we guide, but we want you to figure out a way to make it happen. We have worked with some Cal State Fullerton alumni in agencies and are open to work with alumni in the future. Looking for opportunities with Nui Foods? Reach out to them through their online Contact Form. Interested in entrepreneurship? Cal State Fullerton’s Center for Entrepreneurship supports undergraduate and graduate programs in this field, along with mentoring and support for concepts developed by CSUF students, alumni and the broader community. More information is available online, or read our other articles on entrepreneurship.